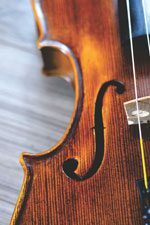 The Friends of the Symphony Named Chair Endowment, totaling $430,000, resides in a balanced pool investment portfolio at the Community Foundation of Northern Colorado. The principal remains in the Trust and earnings are distributed annually to the Symphony to support orchestra salaries. With a contribution of $16,000 in the fall of 2018, the Endowment has contributed a total of over $122,000. There are currently 31 endowed chairs and still others available. 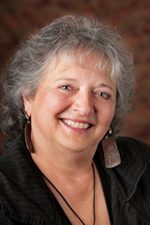 Persons interested in contributing to the Endowment or in establishing another named chair, please contact Kay Edwards, Friends of the Symphony Endowment Chair, 970-484-9465 or kfedwardo@aol.com. 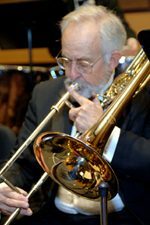 To commemorate the 50th Anniversary (1949-1999) of the Fort Collins Symphony under the direction of Maestro Will Schwartz, the Guild established an endowment to sustain salaries for the orchestra in perpetuity. After a donation from the Riedman Foundation and various fundraising activities by the Guild, the first chair was named and the Endowment was established at $50,000. 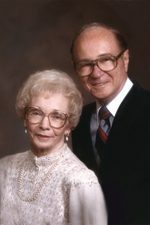 In 2011, Dr. Ed Siegel endowed the chair to honor his parents, Julian and Ida Siegel. 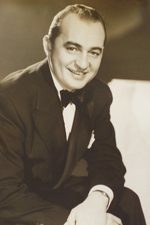 Julian Siegel came to Fort Collins in 1923. He became a successful, community-minded businessman, and was an early supporter of both the Symphony and the establishment of the Lincoln Center. Mark and Nance Horowitz endowed this chair to honor Mark’s mother. 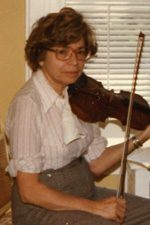 Dorothy played professionally as First Violin with the South Florida Symphony during the 1980s and was a lifelong lover of violin who also played with community and chamber music groups. In 2013, daughters Ellen Brown and Susan Greer endowed this chair to honor their parents who were early supporters of the Symphony and the Lincoln Center. 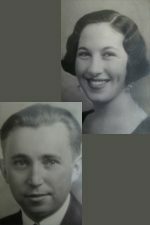 Wilson and Emily moved to Fort Collins in 1949. 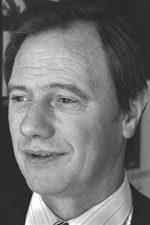 Wilson joined the faculty of CSU as Professor of Romance Languages and later served as chair of the department until his retirement in 1972. Bryon Morgan endowed this chair in 2011 to honor his mother for her contribution to the arts in Fort Collins. Alison and David Dennis endowed this chair in Memory of Alison’s parents. 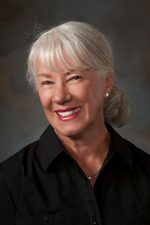 Betty-Anne enjoyed playing the cello throughout her life, and both Betty-Anne and Frank experienced great pleasure attending Fort Collins Symphony concerts after moving here from Vermont in 1991. 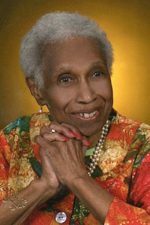 In the fall of 2009, an effort began to endow a chair in honor of Jeanise Brown, a Symphony Guild member, who passed away in August 2009. Proceeds from a CD of Jeanise singing jazz standards, accompanied by Mark Sloniker on pianoand Gene Libbea on bass, raised over $13,000 to endow this chair. 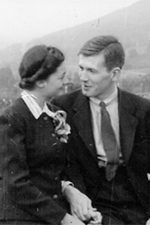 This endowment is dedicated to Joannah’s parents, Rosemary and Albert Joseph, who filled her life with music and cultural experiences from the time she was a young child. 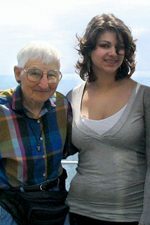 Both parents sang to her and her siblings at home, at the lake, and on road trips, took them to “Shakespeare in the Park” and to symphony performances in Toledo, Ohio. Bettie’s children – Dianne Harper of Fort Collins, Tim Hervey of Louisville, and Betsi Stephen of Chevy Chase, Maryland – have endowed this chair to honor their mother’s memory and love of music. 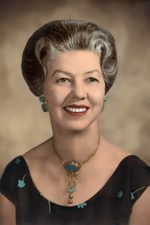 During her long life she worked to build the FCSO. In high school, she played a bass violin in the orchestra and participated in an all-girl orchestra. She was invited into the original symphony group, but declined due to demands of motherhood. 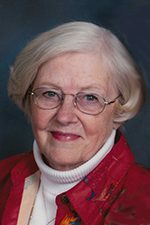 She served in many capacities in the Fort Collins Symphony Guild. In the spring of 2010, Renate Justin endowed this chair in memory of her granddaughter, Johanna Justin-Jinich. 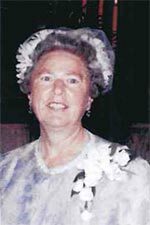 Renate was a long-term member of the Symphony Guild who, along with Johanna, provided refreshments for the orchestra for many years. The Fern Bennett piccolo chair was endowed by the Bennett family to honor the memory of Fern Bennett, who greatly enjoyed music and supported the Fort Collins Symphony for many years as an active member of the Symphony Guild. 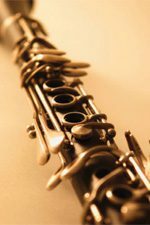 Alison played Second Oboe with the Jakarta Symphony Orchestra, a highlight for her when she and David lived in Indonesia in the 1970s. Both particularly admire and enjoy the oboe as an orchestral instrument. 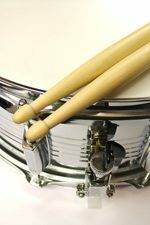 Difficult to play, it has a true pitch and clear voice able to be readily heard above other instruments in large ensembles. 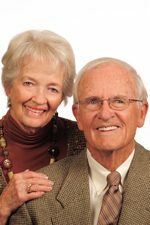 Bob and Joyce Everitt and family have contributed greatly to CSU and the Fort Collins community. They are long-term supporters of the Fort Collins Symphony and the Lincoln Center. 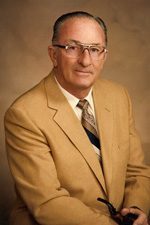 In 2007, a second endowed chair was established in honor of the late Freddy Martin, a respected American band leader and tenor saxophonist well known from the 1930s to the early 1980s. Dr. Bev Donnelley and Bill West have endowed this chair to honor Tom, who has played principal bassoon with the FCSO for most of his adult life. 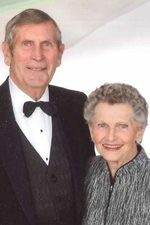 He and his wife, Beth Wells, have served on orchestra committees as a liaison between the orchestra and the Symphony board for many years. In 2013, Guild members Graham and Joanne Harrison endowed this chair, stating “It’s fun to watch the percussion instruments being played during the concerts”. The Griffen Foundation endowed this chair to honor the memory of Pat and Edna Griffin, who supported the Fort Collins Symphony Orchestra for many years. 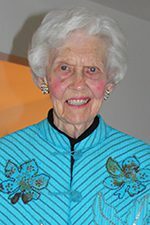 Edna, for whom the Edna Rizley Griffin Concert Hall at the University Center for the Arts is named, was a long term member of the Symphony Guild, and served on the Symphony Board of Directors. Tom and Marie Livingston endowed this chair to honor Tom’s father who served in the infantry and played trumpet in the World War II Military Band. At Colmar, France, the band played for dignitaries after the Normandy invasion. 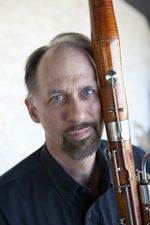 After earning his PhD, Clark became a Colorado A and M professor in the Department of Botany and Plant Pathology and served as director of the Aggie Stage Band. In 2011, Myra Monfort endowed this chair to honor her husband, who performed with the Fort Collins Symphony Orchestra for 39 years. Bill writes the wonderfully informative and artful program notes for the Fort Collins Symphony Masterworks programs. 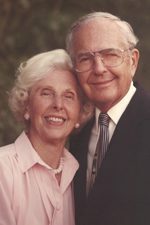 The Schraders are lifelong residents of Fort Collins who support many local non-profits, including the Symphony, Lincoln Center, UCA, City Library, and Museum of Discovery, to name a few. 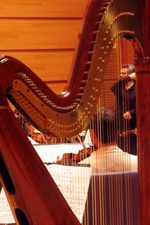 In fall 2012, the Kepler Harp Chair was endowed by friends of Kay Kepler Edwards to honor her dedication to the Guild endowment. 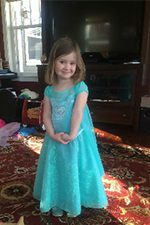 Through the Emerging Leaders Program, sponsored by the Bohemian Foundation, Jennifer and Michael Guerriero used their matching donation to honor their daughter, Josephine, who loves music, especially percussion. In August 2010, Kay Edwards endowed this chair to honor her pianist friends Clare Wilber and Mark Sloniker, as well as her family: husband Larry; children Robert, Susan, Jennifer and Jonathan; grandsons Alex, Nicholas, Andrew, Owen, Evan and Elliott; and granddaughter Josephine. In February 2013, Jean Sutherland endowed this chair to honor her husband, who said that music and books sustained him during his six years of captivity in Beirut, Lebanon. It was played during his memorial service on August 20, 2016. Dr. Peter Springberg endowed this chair in loving memory of his late wife, a retired Air Force Mental Health specialist who was a strong supporter of many local non-profits, the Fort Collins Symphony and other arts organizations. Marty McColl Marsh, husband Scott Marsh, and brother Bruce McColl endowed this chair for Marty and Bruce’s father, Scott, who was a 1938 graduate of Chicago’s Lane Tech High School. 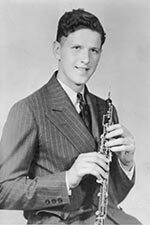 He was the first-place oboe solo winner for the City of Chicago and a member of the Oak Park Symphony Orchestra before joining the Marines in 1941 and participating in the Iwo Jima landing. Loren and Fran Schall have gifted this organ chair in loving memory of Loren’s mom who was a piano prodigy as a young girl, a church organist beginning in her early teens, and an accomplished classical pianist whose favorite composers were Chopin and Liszt. In 2018, Doug Johnson endowed this chair to honor his son, Dane Johnson, who loves and has played the tuba since starting middle school. 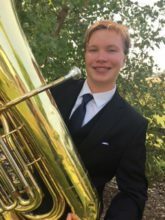 Dane lettered in music and has performed in wind ensembles, jazz bands and a local favorite, Tuba Christmas, on several occasions.